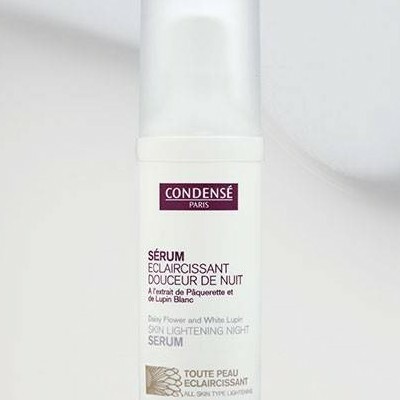 This complete lightening skin-care, with efficient and active natural botanical ingredients, reduces pigmentation imperfections. 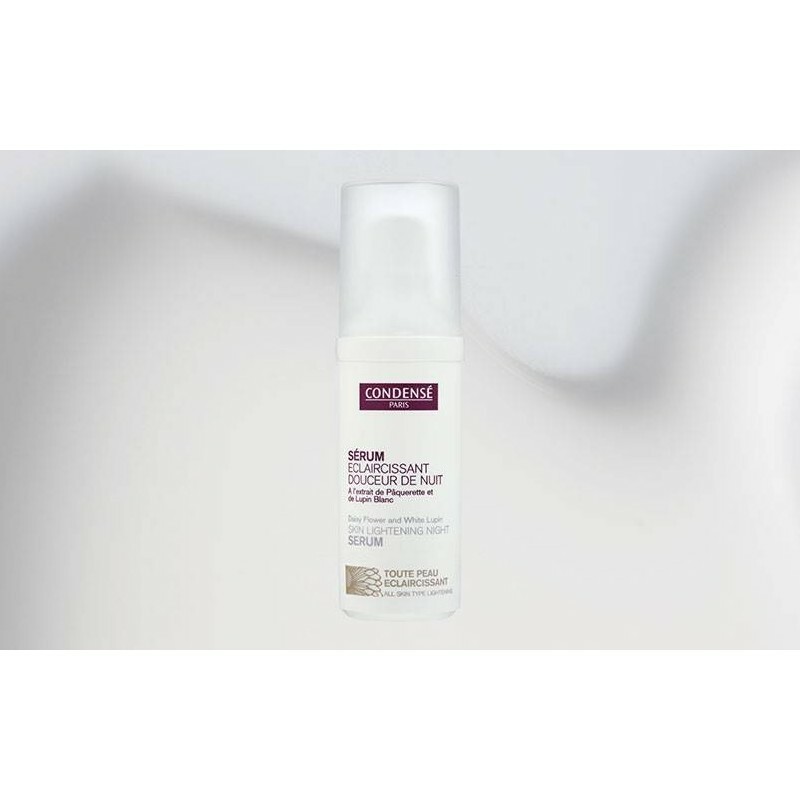 Skin regains a new radiance, giving unified complexion and rested features. Your face keeps its whiteness and bloom. Use in the evening after cleansing. Apply gently on the whole face and let it act. Daisy Flower extract: efficiently and naturally lightens the skin, by slowing down and inhibating the transfer of melanosomes up to the epidermis. 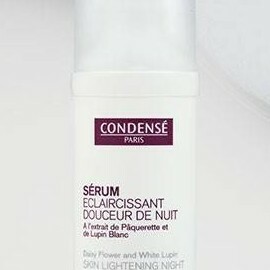 Lupin Flower Essence: lights up your face and erases all the small blemishes on the skin. Fig flower extract: boost cells renewal for a bright and luminous complexion. Rose tree essential oil: healing and moisturizing action. Aqua (Water), Glycerin, Corn Starch Modified, Octyldodecyl Myristate, Tribehenin PEG-20 Esters, Tridecyl Trimellitate, Butylene Glycol, Ammonium Acryloyldimethyltaurate/VP copolymer, Isostearyl Neopentanoate, Caprylyl Methicone, Dipentaerythrityl Hexacaprylate/Hexacaprate, Linum Usitatissimum (Linseed) Seed Oil, Prunus Armeniaca (Apricot) Kernel Oil, Olea Europaea (Olive) Fruit Oil, Xylitylglucoside, Hydrolyzed Milk Protein, Tocopheryl Acetate, Panthenol, Dimethicone, Anhydroxylitol, Parfum (Fragrance), Undecylenoyl Glycine, Capryloyl Glycine, Benzyl Alcohol, Xylitol, Olea Europaea (Olive) Leaf Extract, Ethylhexylglycerin, Arctium Majus Root Extract, Sodium Hydroxide, Helianthus Annuus (Sunflower) Seed Oil, Phenoxyethanol, Trisodium Ethylenediamine Disuccinate, Rosmarinus Officinalis (Rosemary) Leaf Extract, Hexyl Cinnamal, Dehydroacetic Acid, Linalool, Limonene, Zinc Sulfate, Citronellol, Biotin, Aspartic Acid, Sodium Chloride. après plusieurs essais le seul qui réduit sur le long terme mes taches brunes. Commencé à utiliser ce sérum depuis 2 semaines. Odeur et texture agréables, mais en attente de résultats.